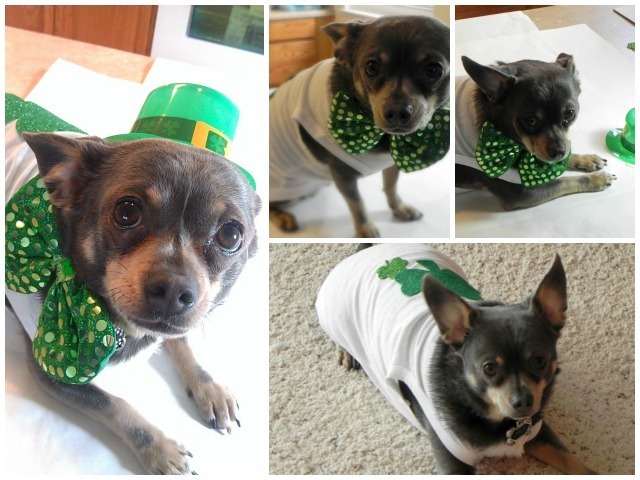 I wanted to make Chuy a St. Patrick’s day shirt since his other one is a little old and too small. I picked up a plain white tee at Michael’s (YES they have pet stuff!!) and the Shamrocks are from the Dollar Tree! This is so simple to make and cost me under $5! 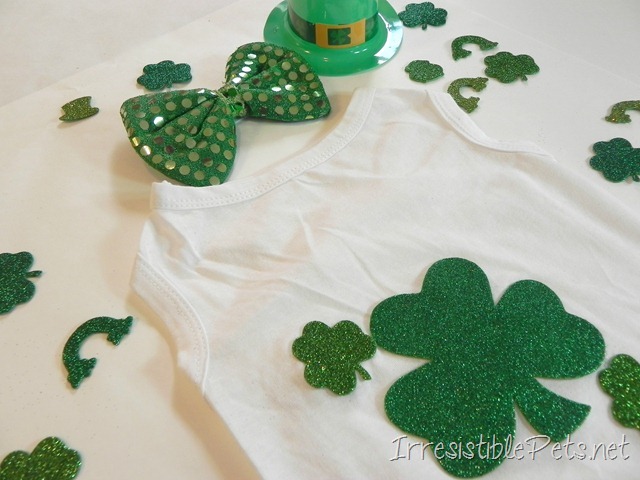 Be sure to check out these other St. Patrick Day posts on the blog! 1. 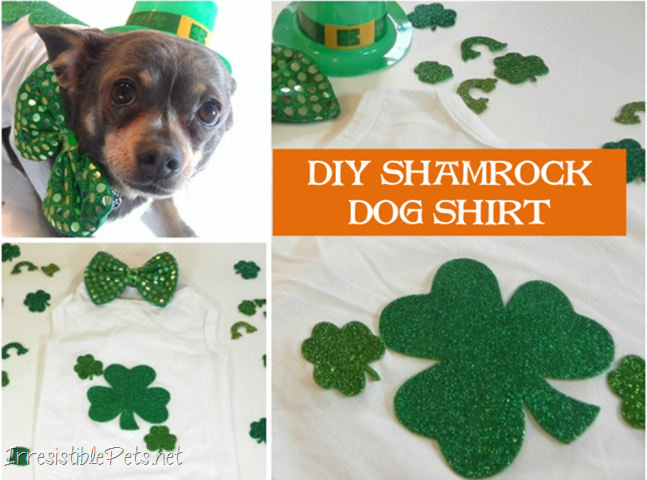 Put the plain t-shirt on your dog to measure exactly where you want to glue on the shamrocks. 2. Remove the t-shirt and place a piece of cardboard or something similar in between the shirt so that you don’t glue the shirt together! Also, be careful not to glue the shirt to the cardboard! 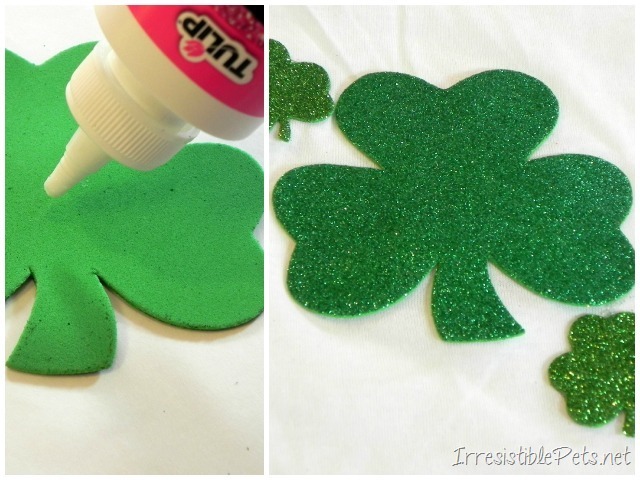 Layout the shamrocks on the shirt before you glue them on. 3. 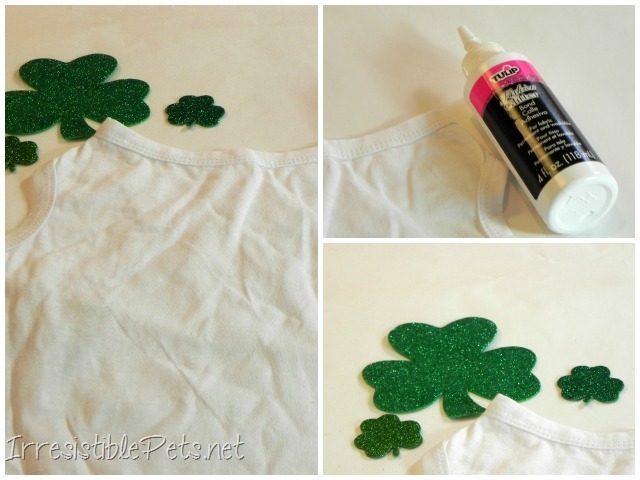 Apply the fabric glue to the back of the shamrock (s) and position them on the shirt. Your finished product should look something like this! 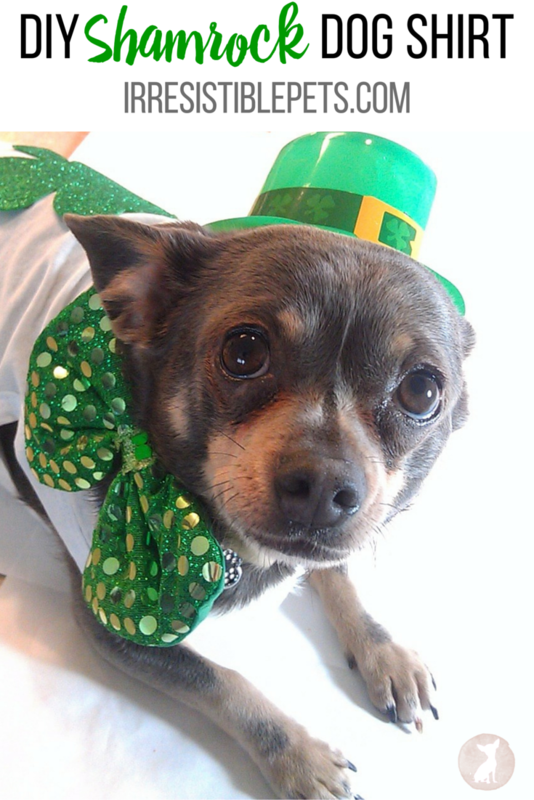 I picked up the sequin bow-tie and leprechaun hat also at the Dollar Tree! Happy St. Patrick’s Day! Check out all of our Irresistible Pets DIY ideas here! Chuy, you look really handsome in your hat and shirt! Did you thank your person for making it for you? Why thank you! OF course…with lots of kisses! Oh this is too ridculously cute!! 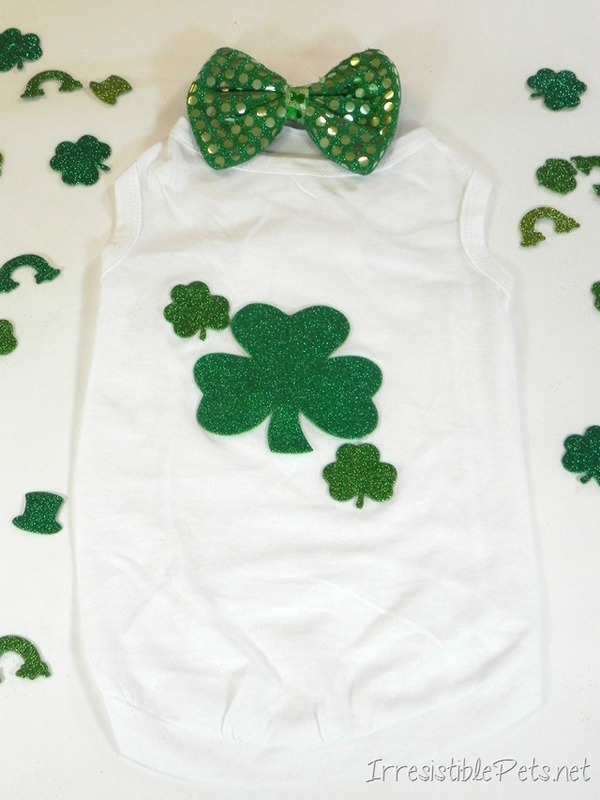 I have a friend with a cute little pooch who would look adorable in one of these shamrock shirts – I’ll have to pass this on to her so she can make one for him. Thanks Rachel! Yes, please feel free to share away! Thanks for stopping by! And when all is said and done, those little “Irish” eyes are smiling! What size is Choppy? This was a small that Chuy is wearing.